The film tells the story of a superhero in midlife crisis, who must face his greatest fear, his family, to save his small country from cosmic annihilation. The story is set in Luxembourg and is based on the comic book series De Superjhemp' by Lucien Czuga and Roger Leiner. The series sold more than 185.000 copies and is the most successful creation in Luxembourgish literature to date. 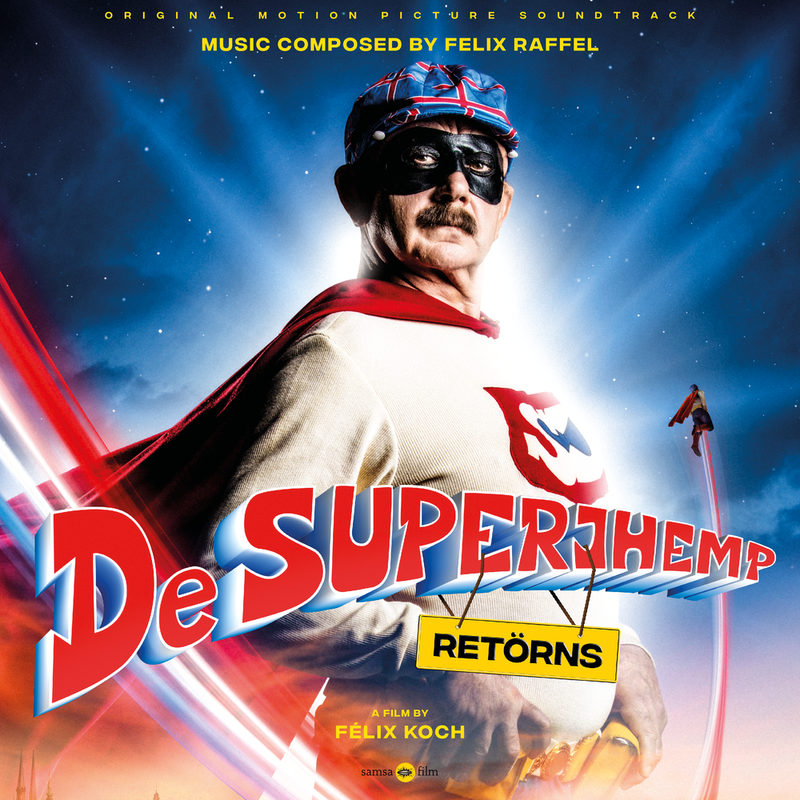 From a very early stage onwards, director Félix Koch and composer Felix Raffel agreed upon a big orchestra score for this superhero comedy. Both big fans of good old Hollywood film music, they listened a lot to composers such as John Williams and Jerry Goldsmith and wanted to add this 'nostalgic' touch to the original score for their film. When watching the first images of the film, Felix Raffel was deeply moved by the main character and his struggle to not revealing his inner strength to the outside world. It reminded him of his own father who passed away not long before starting to work on this project and inspired Felix to create a nostalgic, epic score. The entire full symphony score was recorded with the Budapest Art Orchestra.